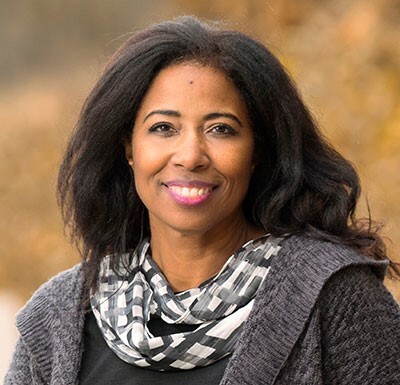 Nina Banks is associate professor of economics and an affiliated faculty member in the Department of Women’s & Gender Studies and in Africana Studies, a program that she co-developed with Carmen Gillespie. Her publications focus on social reproduction and migrant households, black women and work, and the economics of the first black economist in the U.S. — Sadie Tanner Mossell Alexander. Professor Banks teaches courses on U.S. women’s economic history, gender and migration, and poverty in the U.S., and she is the inaugural director of the Bucknell-in-Ghana study abroad program. Dr. Banks is a faculty mentor for the Diversity Initiative for Tenure in Economics (DITE) program. She serves on the Board of Directors of the National Economic Association (NEA) and the editorial boards of Feminist Economics and The Review of Black Political Economy. She organized the first joint annual Freedom and Justice conference of the National Economic Association (NEA) and the American Society for Hispanic Economists (ASHE). She received her doctorate in economics from the University of Massachusetts Amherst. Professor Banks is currently working on several book projects including a biography and an edited volume of the speeches and writings of Sadie Alexander (Yale University Press), a manuscript titled, Gender, Race, and Environmental Activism: Women of Color Working for Tomorrow (University of Toronto Press), and a coauthored book (with Cecilia Conrad and Rhonda Sharpe) on Black Women in the U.S. Economy: the Hardest Working Woman (Routledge).